Posted by Admin | April 20, 2015 | Simulation. 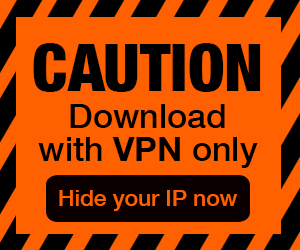 The Sims™ 3 Showtime Free Download PC Game Cracked in Direct Link and Torrent. The Sims™ 3 Showtime – Venture into the new world of Starlight Shores and play out a rags-to-riches story with your Sims as they become superstar singers, acrobats, and magicians,…. Venture into the new world of Starlight Shores and play out a rags-to-riches story with your Sims as they become superstar singers, acrobats, and magicians, or even moonlight as a DJ. Watch your Sims rise to fame—or go down in flames as they perform on stage in front of cheering crowds in all new venues. On the way to the top, players will have more tools to tell their Sims’ stories the way they want to including the ability to customize stages, create Sims with all-new clothing options, traits, skills and lifetime wishes and interact with objects like the new pool table, karaoke machine and mechanical bull. New connected features allow you to share your big moments and connect with friends and fans of The Sims like never before. Using the all-new optional SimPort feature, send your Sim on tour to perform in your friend’s world. Along the way, earn achievements for accomplishing special challenges that will be rewarded with new badges and that can be viewed and shared on the new in-game player profile and wall. Rise to Stardom: Venture into a new world and live the dream as a singer, acrobat, magician or DJ. Watch your Sims rise to fame—or go down in flames as they perform for other Sims. Create New Sims: New traits, skills and Lifetime Wishes give you more tools to tell stories the way you want to. A Whole New World: The brand new world of Starlight Shores is full of interesting new characters to meet and mingle with. This all new town features new venues and new objects to hone your Sims’ talents. New Objects and Interactions: On your way to the top, why not give your Sims a break and play a round of classic eight ball on the new Pool Table or see how long they can stay in the saddle on the Mechanical Bull. 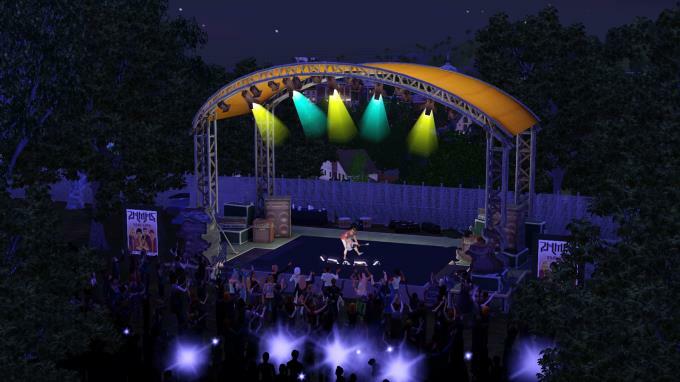 Rise to Fame: Customize your stages with props, light, backgrounds, and special effects and see your Sims perform in sold-out arenas and in front of packed crowds.